It’s a simple equation: take care of your vehicle, and it will take care of you. Whether you are a novice driver with your first vehicle, or a motoring veteran with 30 years of experience, it is important to stay up to date on proper vehicle maintenance. 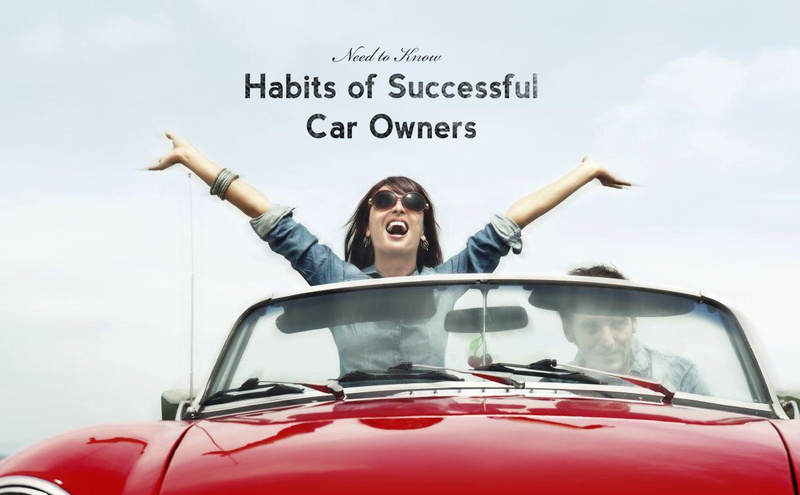 Here are 5 habits that will help you get the most out of your car. After purchasing a new car, many of us take a look at the owner’s manual and then put it away, never to be seen again. The owner’s manual is a valuable resource that will help you take care of your vehicle. It should be studied and consulted regularly. If you can’t find your owner’s manual, don’t worry; you can order a new one online from your vehicle manufacturer. Your owner’s manual contains all the information about your vehicle’s functionality, including the purpose of every knob, button, and dial. By reading your owner’s manual, you will learn why that pesky dashboard light is on, and might even discover a new feature of your car. The owner’s manual also shows you which maintenance procedures are due at what times. Your car will run smoother, be more reliable, and last longer if you stay on top of maintenance instead of waiting for things to go wrong, so your owner’s manual can be a great way for you to know which systems to look after next. Ignoring the information in your owner’s manual could leave you stranded on the side of the road, or with avoidable mechanical issues and costly repairs. To keep things streamlined and accessible in case of an emergency, keep all your important documents safely stored away in one place. Important documents include vehicle registration and proof of auto insurance. If you are pulled over by a law enforcement officer or are in an accident, being able to find these documents without rummaging through your centre console, door pockets, glove box, and under the seat will save time and frustration. Make sure to keep these documents up-to-date, and discard the old ones to avoid confusion. Knowing how to check and top off all the fluids in your car, especially windshield wiper fluid and oil. Use jumper cables to jump-start your vehicle. Remove and replace a wheel in case of a flat tire. After starting with these 3 fundamentals, you can expand your automotive repertoire by learning how to change a belt or filter. Having a simple emergency kit put together and kept in your car is a great way to keep you safe. Once assembled, just leave the kit in your vehicle in case of emergency. In a duffel bag or backpack, put jumper cables, flashlight, batteries, flat tire repair kit, flares, simple first aid kit, bottled water, sunscreen and a small fire extinguisher. To round out your kit for the winter months, add a blanket, snacks such as protein bars, and chemical hand warmers. Do yourself a favour and prepare ahead of time. Find a good mechanic and body shop and put their contact information into your smartphone or even write it on a piece of paper that you keep in your car. If you need help one day, you won’t have to scramble and will know exactly who to call. If you ever need help or advice relating to your vehicle, please be in touch.